Headache after or during Crossfit? Best Tips to Deal with It… Ah! Beer! Last tuesday I was doing a heavy session of squats after a demanding workout with kettlebells and my head started to ache strongly. Just like something was pulling the blood out of it or like my brain was being squeezed by a giant. Definitely not a nice feeling, I can tell you. I stopped my workout with a sad feeling and a big worry that something was not alright. I called my uncle, who has been the family doctor since I can remember and he told me not to worry, that most probably I was dehydrated. So that calmed me for a while, but still I really wanted to know what the hell was causing this pain and how could I cope with this. I can tell you that in some workouts the pain has been really annoying and decided to make it go away. After quite some investigation and a long conversations with a friend and very proficient sport physician, I’ve got to the point of understanding that while there may be several causes that may trigger a headache while working out, and most of them are harmless, a headache after or during exercise could be a warning of something more serious going on. My intention is not to alarm you, but to get you to understand yourself and have the confidence to always look for help if you don’t know what is going on. 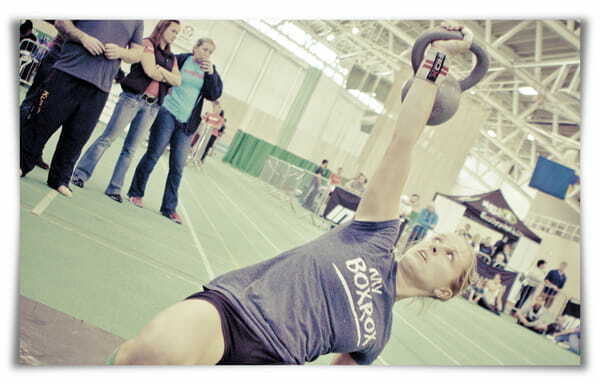 Crossfit training as we all know can be really demanding and taking precautions is never bad. Now, for those who already know that they don’t have a serious condition, here are the main causes of headache and a couple of tips on how to deal with them. As my friend told me, strenuous and intense physical training could be the cause of EXERTION HEADACHES. They are headaches that happen while training at a very high intensity, causing a forced dilation of the blood vessels of the brain above their normal levels, which pressures the meninges giving you these horrible headaches. They are very related to strenuous exercises performed to failure commonly on compound heavy exercises, like almost every Crossfit exercise right? Dehydration. This one is truly common. We tend to think we are hydrated if we are not very thirsty, but the truth is that our body looses fluid faster than we think. Keep your water bottle always with you. If you already know you are a water-leak try making your drinks isotonic (either using a commercial brand or adding minerals to your water to keep you juicy). And DRINK… a zip every 15 min on cardio or every 5 on very demanding sets would do the trick. O2 and CO2 levels out of balance. I will get in more detail on another post, but a small explanation is that while you are not a very trained individual, it is highly easy to disturb the levels of Oxygen and CO2 in your blood leading to Headaches and more serious conditions if not taken care of. Maintain a level of training in which you can breathe IN through your nose and exhale properly in the moment of most effort. While breathing is the main one, the levels of Oxygen in the brain can also be disturbed by what we eat. Lack of proteins and proper sugars in your muscles might require extra Oxygen for your muscles to perform and they will take it from wherever it is available. Remember to nurture yourself for training, Crossfit is not something you do on a calorie deficient diet. Take care of your health! Stress on upper neck muscles or spine. Lack of alignment of the spine and improper posture lead to muscle tensions and/or nerve pinching that can easily turn to pain. Always keep proper posture. High blood pressure due to extreme effort. This is also a whole topic and one that requires its own space, but lets just say that it is very common to overestimate ones strength and cope with that through the lack of proper breathing (not even considering people with already high blood-pressure levels who must actually have strict attention from their physician). 2. Hydrate: Drink your way and make it isotonic if required. 3. Breathe: It seems too simple, but many of us just don’t do it enough while training and don’t do it properly.Proper breathing is very important during exercise, especially heavy weight lifting, and correct breathing techniques will minimise occurrence of pain. 4. Evaluate: Your posture and form while exercising, the wrong tension to muscles and nerves can give you more trouble than you’d imagine. 5. Eat: Properly, your muscles require proteins, minerals, vitamins and energy. You need to have the right nutrition tu supplement your development. 6. Rest: The secret to recovering, stress-free, progressive development has its roots in good sleep and proper rest. Don’t drive your body to a place where you know the only result is injury. Remember headache while or after exercise could be a warning that something more serious is going on. As a general rule of thumb, if you suffer headaches while or after you exercise, go and see a doctor right away don’t wait.